I was travelling in the mountains near the Alberta – British Columbia border. I was tired and I pulled off onto a side road to have a rest. 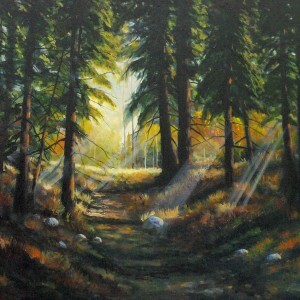 I awoke to this beautiful scene with the light streaming through the trees. 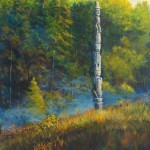 I did a quick sketch and took some photos as time did not permit a full scale painting on location. 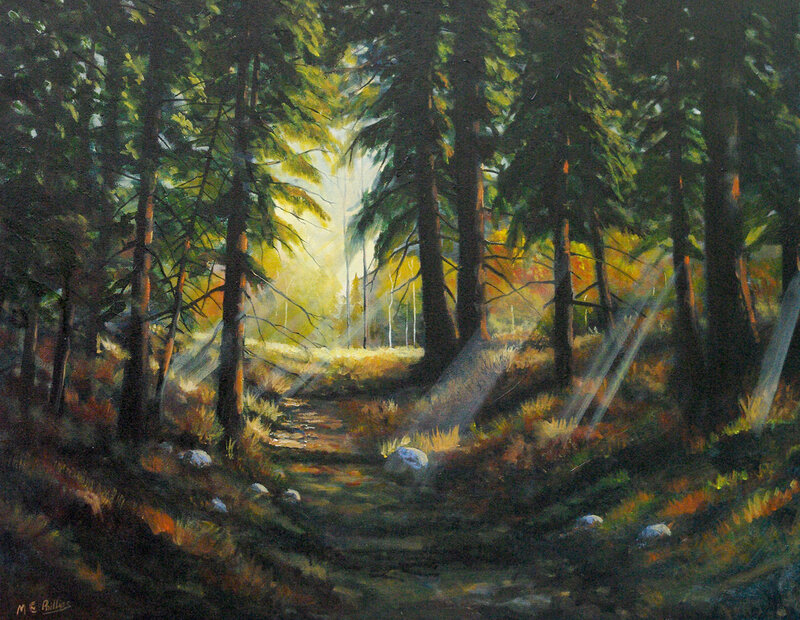 I have often thought of this painting as I have worked through some periods of grief and pain in my life – keep moving toward the light.